Microtek 1 KVA Mppt based solar inverter is the best in the industry. It is a off grid solar inverter which is designed to give power using solar panel. 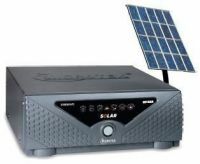 The It is a highest star rated and most popular solar inverter in Single battery in India. Microtek solar inverter msun 3kva with mppt charger Microtek 1 KVA Mppt based solar inverter is the best in the industry. It is a off grid solar inverter which is designed to give power using solar panel. The It is a highest star rated and most popular solar inverter in Single battery in India. To Recieve updates and possible rewards for Microtek M-SUN SOLAR UNI-DIRECTIONAL HYBRID UPS 3KVA please sign in. To Recieve updates and possible rewards for UPS & Inverter please sign in.